A flight from Dublin to Bergamo is a most excellent gateway to a Ryanair weekend city break. Bergamo itself has a ton to offer but the city is also conveniently close to the Italian Lakes. 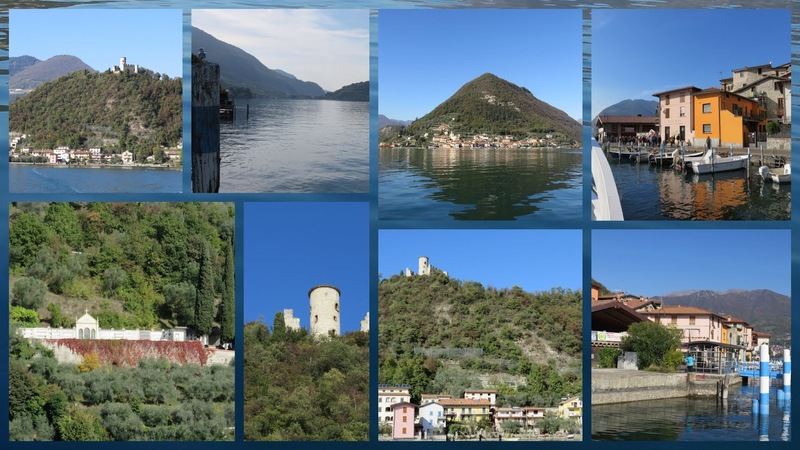 We took an epic day trip from Bergamo to Lake Iseo in October for a bit of sun and scenery covering a ton of ground in just a single day on public transportation. 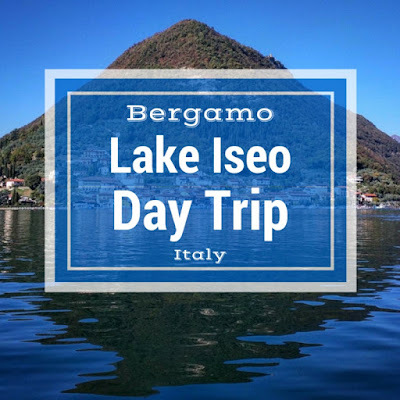 We started our day trip to Lake Iseo on the bus from Città Bassa in Bergamo to Tavernola, about an hour and a half ride. 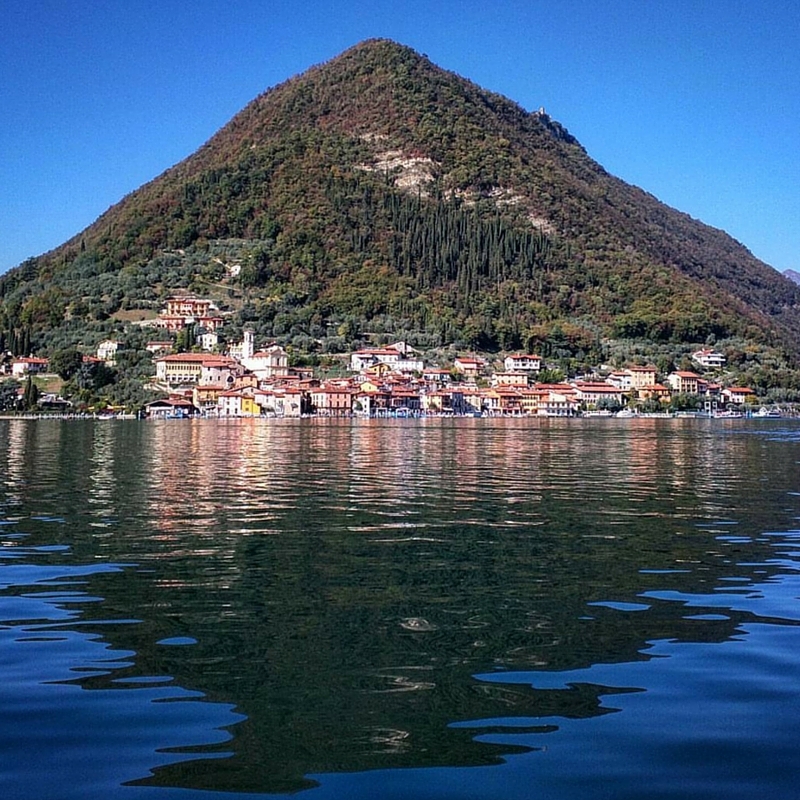 Tavernola is a sleepy little town on Lake Iseo. As we waited for the ferry to embark on the next stage of our journey, we took a quiet stroll along the serene Italian lake. 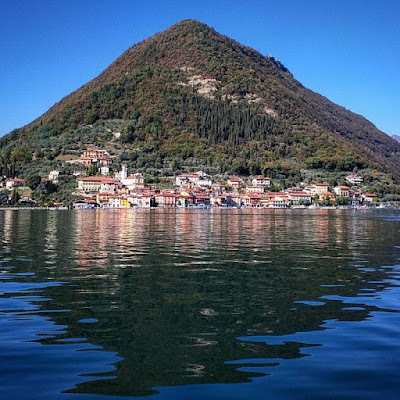 Riding the ferry, we cruised on Lake Iseo past Monte Isola, the largest island in a lake in not only Italy but in Southern and Central Europe. We didn't have time to stop off and explore but circumnavigating the island, we saw some of the major features including a castle tower on the island's peak. Cruising on from Monte Isola, we soon arrived in Iseo, the town named after the lake (or is the lake named after the town? I think we have a chicken and egg problem). Lovely cafes dot the waters of Lake Iseo. 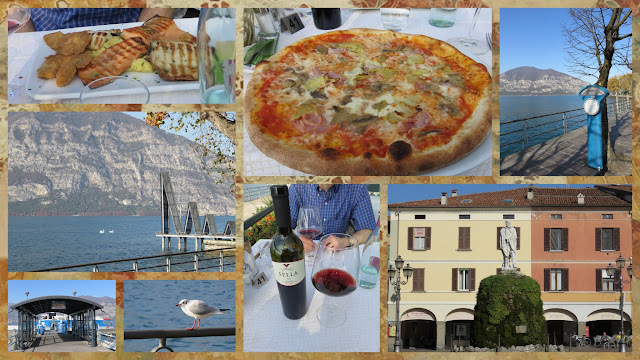 We dined al fresco at Lido dei Platani on pizza, fresh seafood, and a bottle of local red wine. A perfect afternoon on the Italian Lakes! 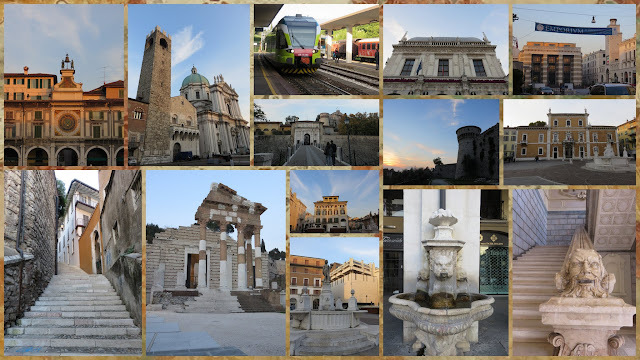 Our whirlwind day trip on Lake Iseo concluded with a train ride from Iseo to Brescia, a town dotted with charming Roman ruins often standing side by side with modern day architecture. As the sun set, we hopped on a train in Brescia back to Bergamo amazed at the amount of ground we covered across the Italian lakes district in just a single day. 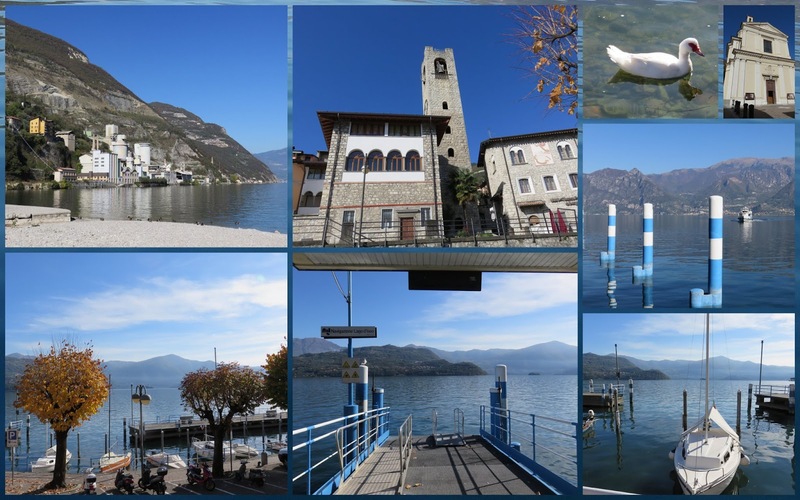 For a truly scenic day filled with great food, wine, and history too, spend some time exploring the towns around Lake Iseo. Searching for day trip ideas from Bergamo? If so, I highly recommend hitting the road from Bergamo for a fulfilling day trip riding public transportation around Lake Iseo. Photo tour of an independently organized day trip around Lake Iseo near Bergamo, Italy. Written by Dublin-based travel blogger Jennifer (aka Dr. J) from Sidewalk Safari.